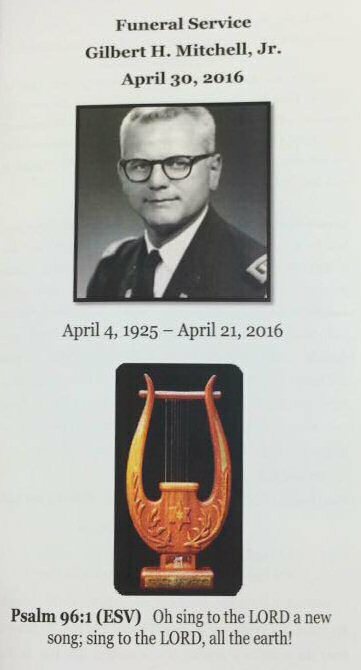 Services for LTC Gilbert H. Mitchell, Jr.,were held March 20, 2017 at 11:00 a.m. at the Old Post Chapel, Ft. Myer, Arlington, VA, with military honors and interrment at Arlington Cemetery immediately following. Today it is with a heavy heart that I announce the passing of our founder, Gilbert H. Mitchell yesterday of a heart attack. 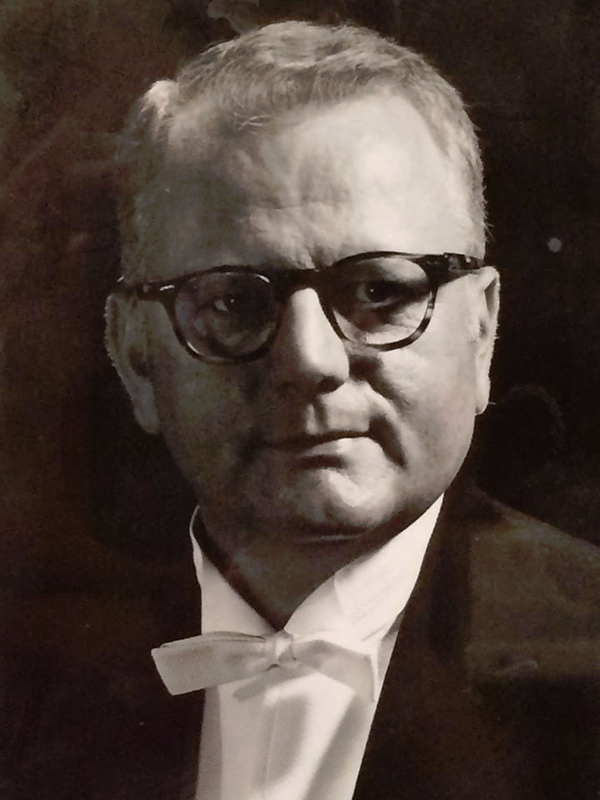 Gilbert Mitchell, born in 1925, had a long, rich and rewarding career in music. He was an artist and craftsman of the highest level. He began his playing career at age 18, playing 2nd trumpet in the New York City Symphony and having been chosen by Leopold Stokowski. Not long after in 1944, he won the position of First Trumpet of the New Orleans Symphony Orchestra under Massimo Freccia. When the draft extracted him from New Orleans in 1946, he at first went with trepidation from his symphony position to take a position in the United States Army Band at Fort Myer in Washington, D.C. Once a member of that band, he reveled in the high musical standards, unending opportunities and security that life in the band afforded. In 1948, Gil was elevated to the position of Solo Cornet in the band, and In 1960 he went on to found the Army Band Herald Trumpets at which point he was promoted to Captain. 1963, Gil married the love of his life, Joyce and raised two talented girls, Lisa and Megan. For several years beginning in 1965, he was also choir director at Peace Lutheran Church of Alexandria, the longtime home of Brass of Peace. His retirement from the band in 1970 as a Lt. Colonel and Associate Conductor, just gave him more time to create more musical opportunities for others and more musical organizations, one of them being the Northern Virginia Chamber Orchestra (1972) and the other, Brass of Peace (1977). 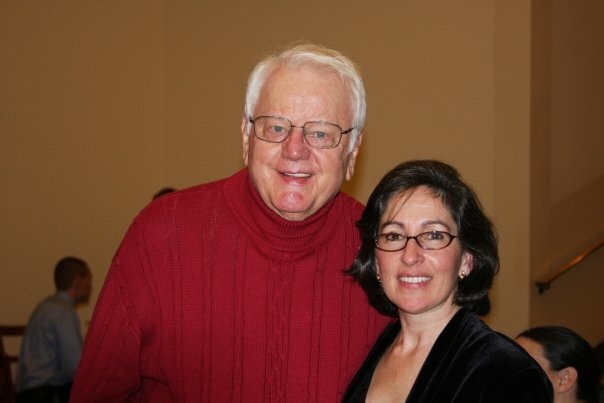 It somehow seems fitting and going full circle that Brass of Peace’s last full concert performed on March 11th featured Gil’s daughter, Lisa Mitchell Galoci as organ soloist. In a newspaper article of July 1978, Gil was quoted as saying of Brass of Peace, “They are the best players. This is the only group that has such a high standard. They are very astute. They know I make demands far in excess of anywhere else. They respond to this challenge. It is a tremendous learning experience for them, very valuable.” With such a long and illustrious career, Gil stated in his memoire that Brass of Peace was his greatest musical achievement. And so, dear Brass of Peace Family, I am eternally grateful to Lt. Colonel Gilbert H. Mitchell for the privilege of becoming the second music director of Brass of Peace. My mandate from him was clear. His legacy will go on, and may he be God’s finest herald trumpeter in Heaven.